1. Creditor 1 – 13.33 percent of $3,000 equals a payment of $400. 2. Creditor 2 – 13.33 percent of $6,000 equals a payment of $800. 3. Creditor 3 – 13.33 percent of $9,000 equals a payment of $1,200. As a result of this calculation and fair treatment toward all creditors $400 would go to creditor 1, $800 to creditor 2, and $1,200 to creditor 3. Unfortunately what is all too common is that a person who has filed for bankruptcy pays the entire $2,400 to their favored creditor, typically a friend or family member and at other times a favorite merchant. This could be considered as a preferential payment (see section 547(a)(b) Bankruptcy Code). What then happens is that the bankruptcy trustee will force that creditor to return the entire amount of the payment to the trustee and then the trustee will redistribute the funds in what the trustee determines is a fair and non-preferential manner. This can become a particularly difficult situation if the creditor is a friend or family member. In some cases debtors do not want their friends and family members to know that they filed bankruptcy. That might have been the reason they paid them of in the first place. This situation increases in its impact upon your favored creditor if they have spent the payment and not have it within their means to return the favored payment to the court. 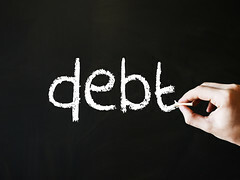 The friend or family member might not have known about the bankruptcy and was happy about getting repaid an old debt. The creditor might have spent the money already. But even if the creditor spent the money, the trustee might insist on turnover of the payment and eventually might sue the friend or relative. This might cause problems between debtor and creditor. In addition, after the trustee received the money and voided the transfer, debtor will not be allowed to apply any exemptions towards the money. This is true even if the whole amount that was transferred could have been exempted if the money would not have been transferred. The time period for determining if a payment has been made that favors a creditor, is typically 12 months for payments to friends and family and 90 days for payments to other creditors. Understanding these rules is critically important and aids in the smooth and quick resolution and discharge of a bankruptcy case. It can also save your friends and family a lot of trouble when you avoid showing them favor in paying off debts. Bankruptcy & the IRS What should I do when I inherit something during or after my chapter 7 bankruptcy case?